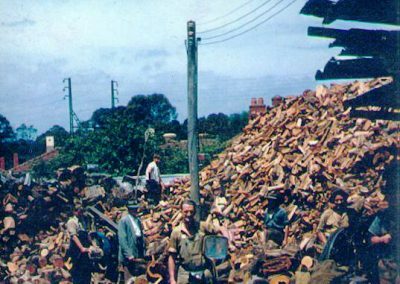 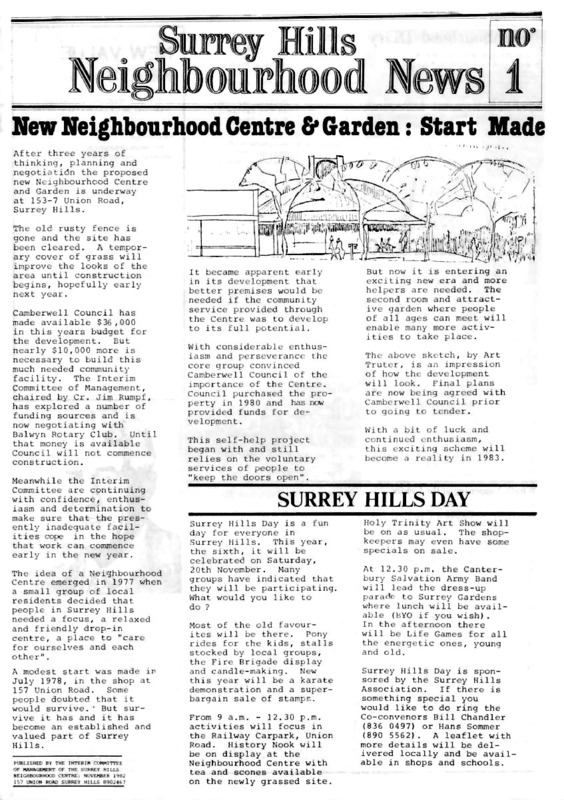 Surrey Hills Neighbourhood Centre has a long and proud history. 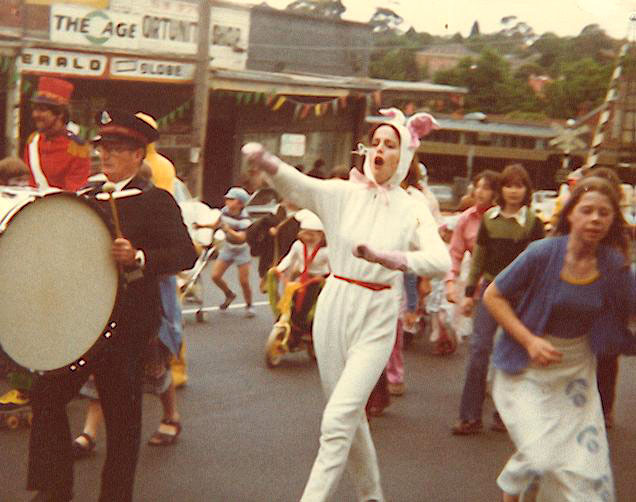 In 1977, a small group of local people shared an ‘interesting-but-unlikely-to-happen-idea’ at Sunday night meetings. 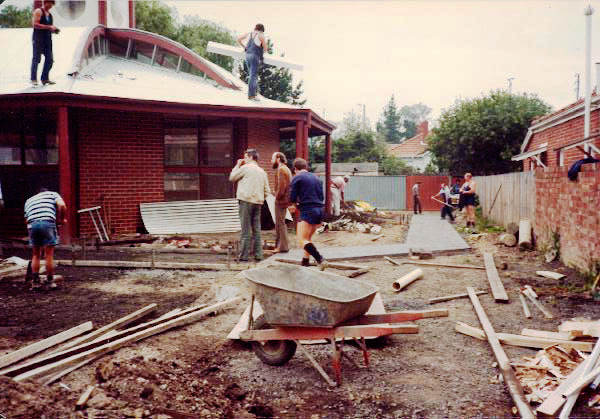 They developed foundation values that have underpinned the Centre’s evolving success through good times and bad. 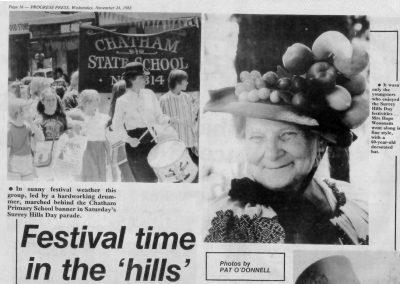 The original aim was to create Surrey Hills Our Place (SHOP), a meeting place for the diversity of local people and others in the community, where interesting things happen in a caring and supportive environment, a place where people work together, sharing experiences and skills, to provide opportunities for learning, information, leisure, and to promote friendship, where we would ‘care for ourselves and each other’. 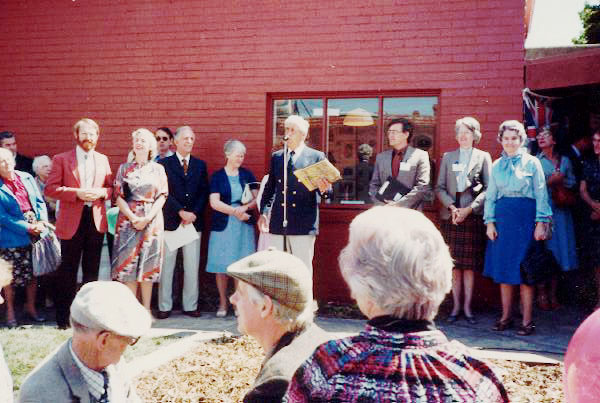 This photo was taken 8 July 1978, the day that Surrey Hills Neighbourhood Centre opened. 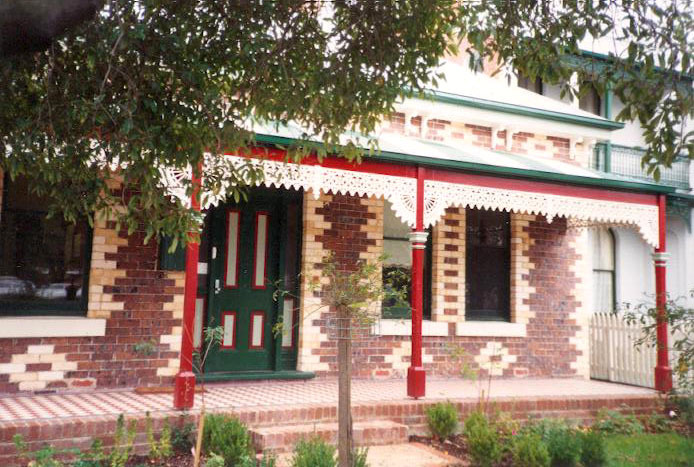 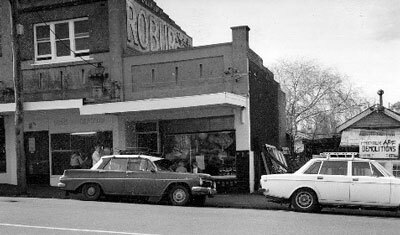 The first centre opened on 8 July 1978 at 157 Union Road, now the office, in a shop affectionately called ‘The SHOP’. 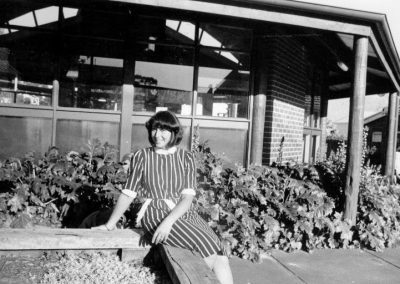 Helen Mayer was one of the original organisers and described the shop as “my second lounge room”. 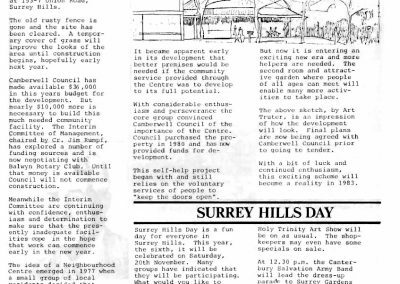 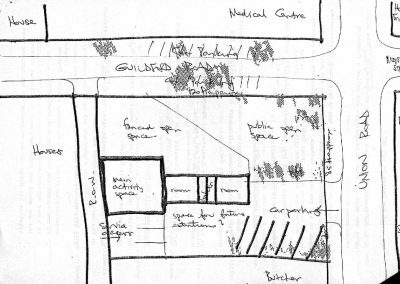 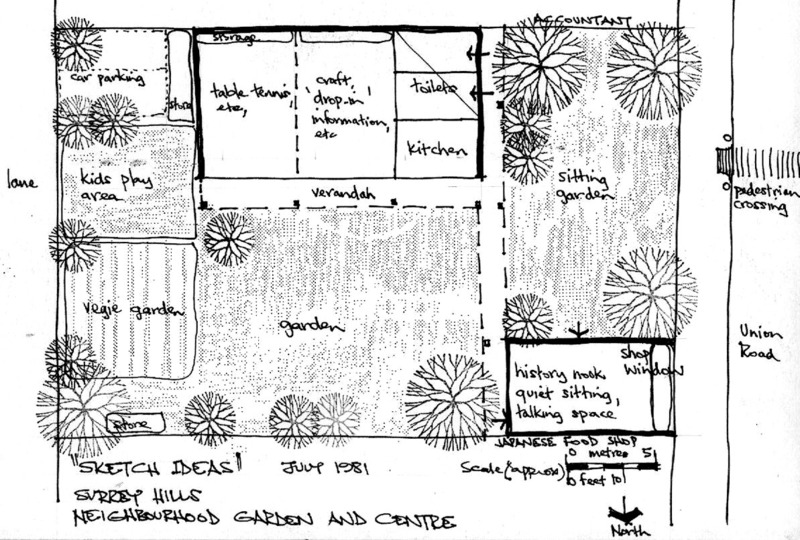 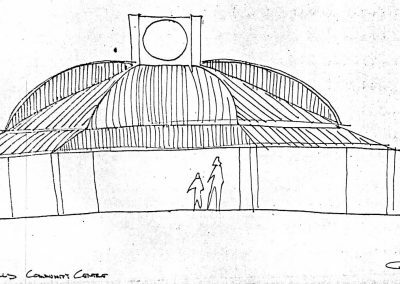 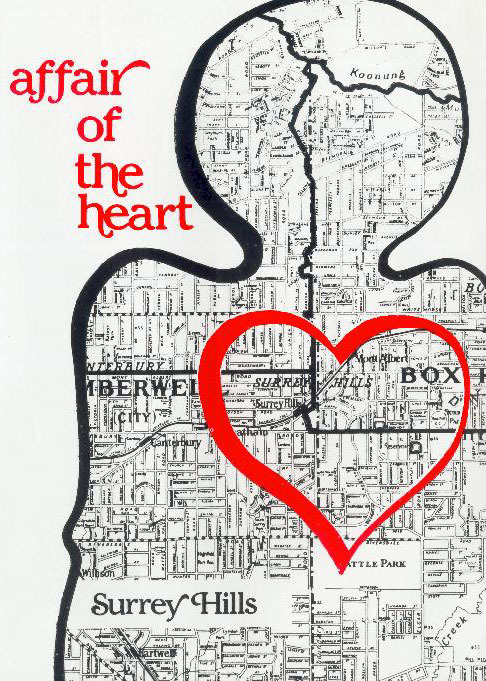 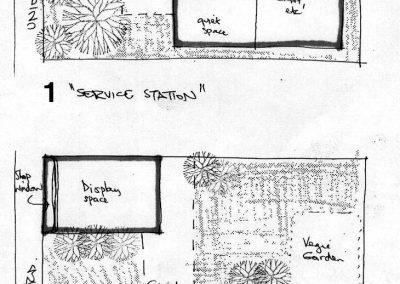 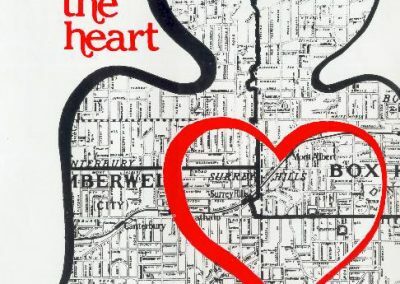 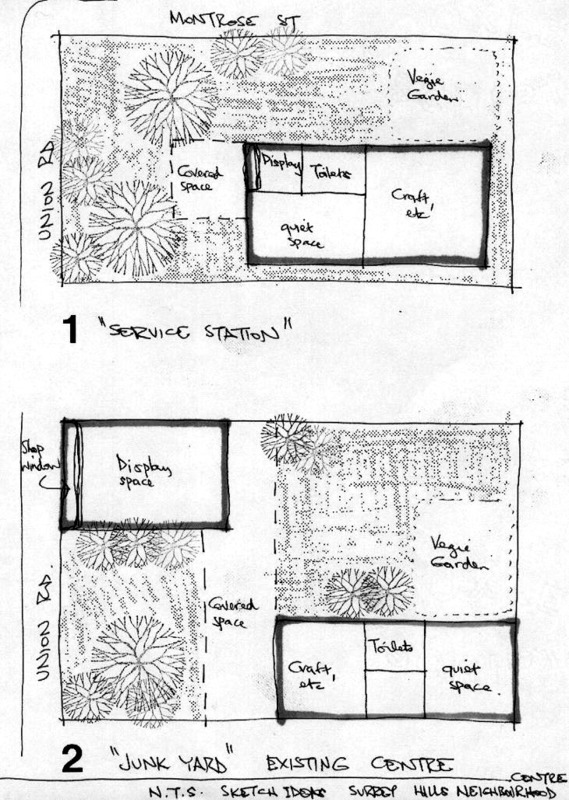 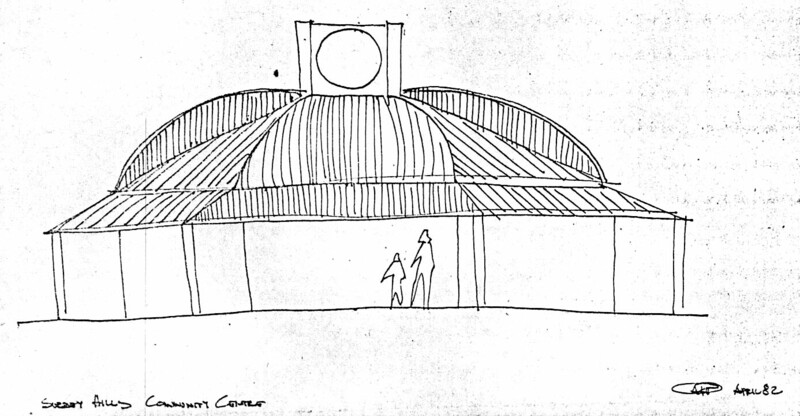 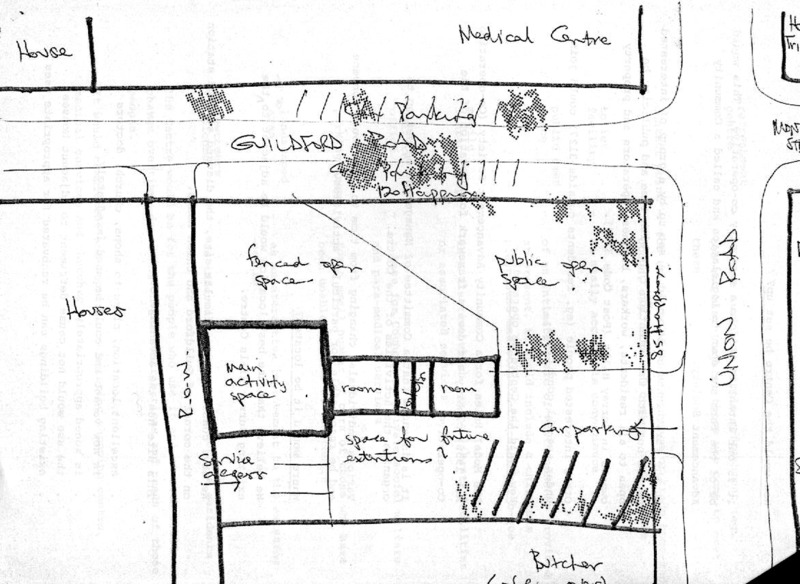 Enthusiasm for creating a neighbourhood centre arose out of a serious threat to the heart of Surrey Hills. 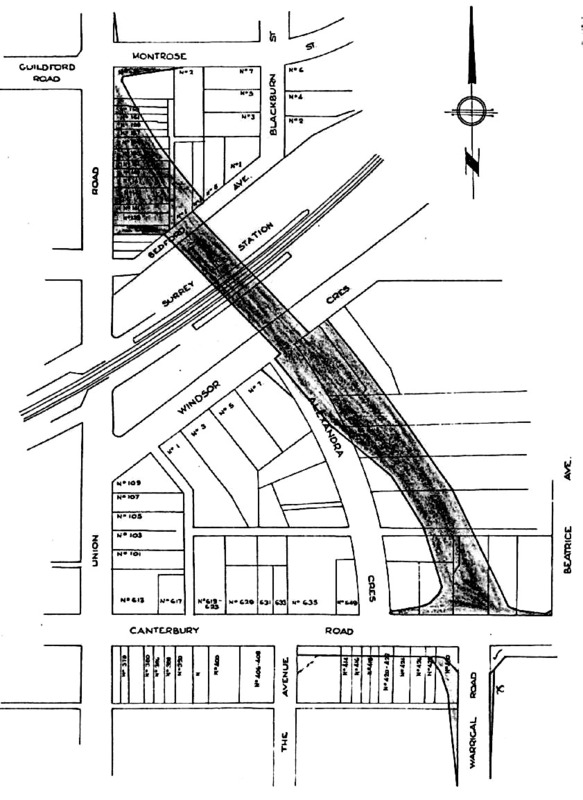 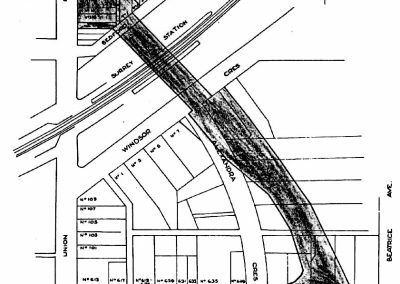 The Country Roads Board (now VicRoads) had plans to build a road overpass across the railway station demolishing, ironically, the Neighbourhood Centre site. 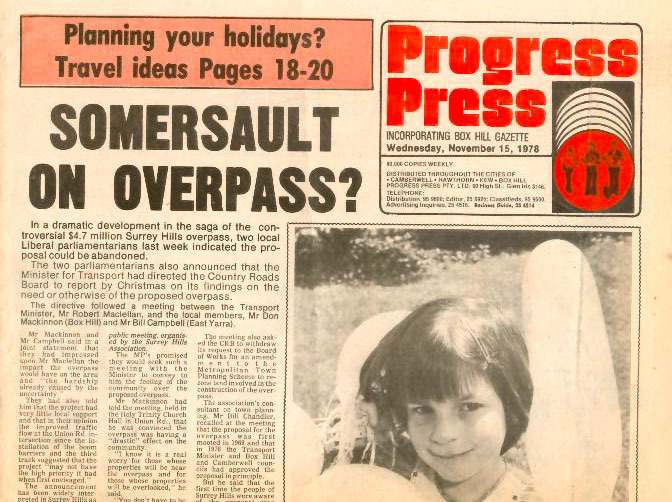 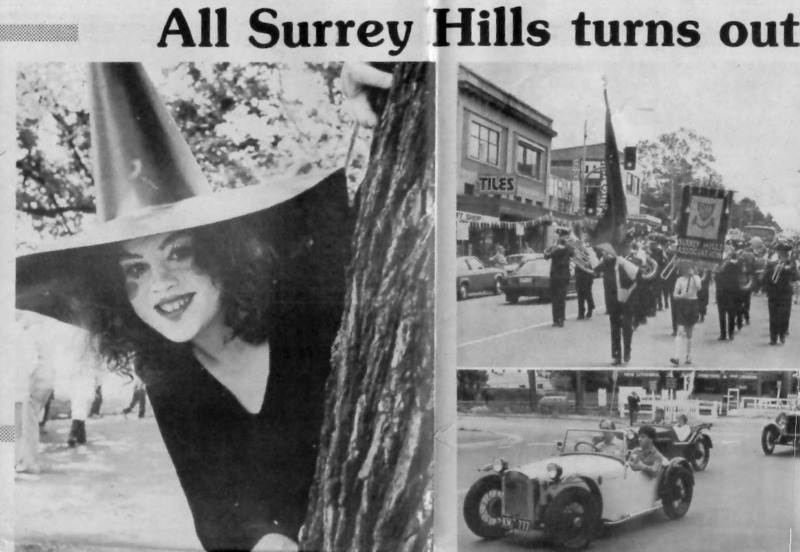 Not surprisingly, residents and traders protested loudly, but they were determined to be positively creative and ran the first Surrey Hills Day on 26 November 1977. 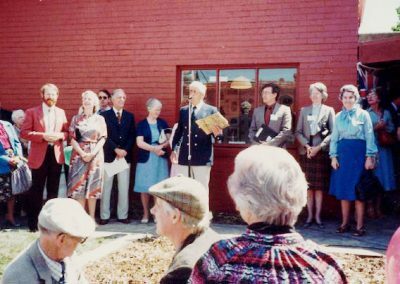 It included a small display of historic photos set up by Jocelyn and Ken Hall which developed into the amazing collection we have today. 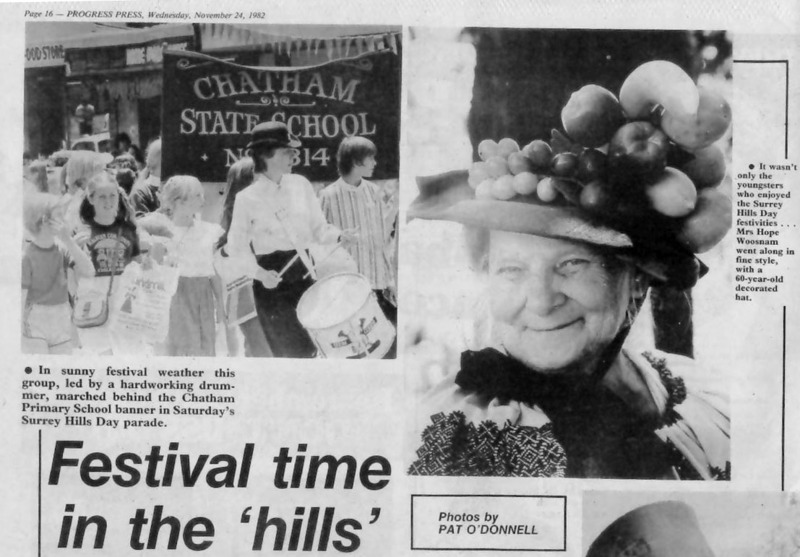 It also built on an earlier Surrey Hills tradition with a street parade and celebrations. 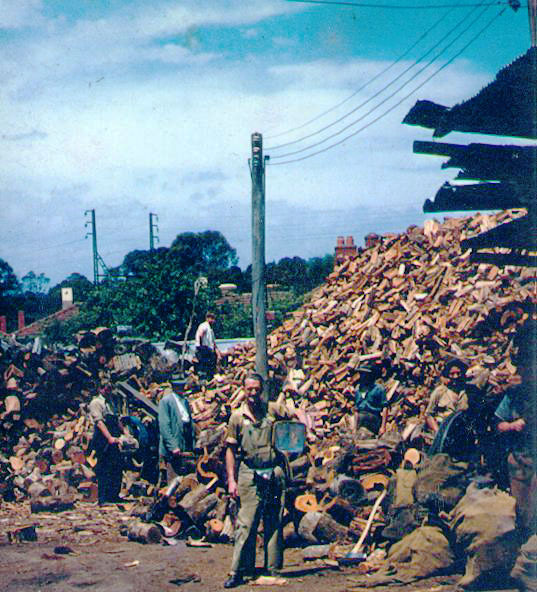 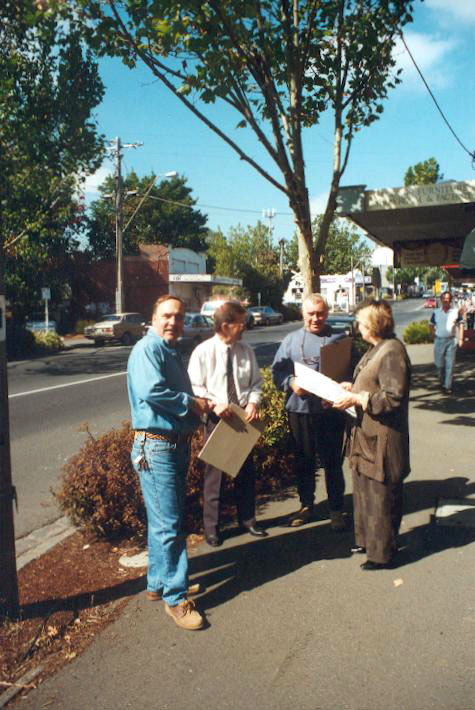 With the eventual support of local councillors and politicians, the destructive road proposal was abandoned, and the committed volunteers transformed a protest into positive action that convinced Camberwell Council to purchase the shop and adjacent woodyard, which is now the location of the Neighbourhood Centre.Focused on a celebration for the centenary of the opening of Surrey Hills Railway Station, a determined effort by volunteers convinced Camberwell and Box Hill Councils and private companies to fund the building of the Centre. 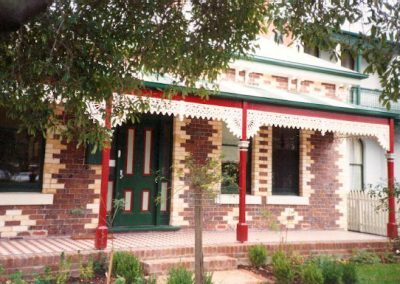 Focused on a celebration for the centenary of the opening of Surrey Hills Railway Station, a determined effort by volunteers convinced Camberwell and Box Hill Councils and private companies to fund the building of the Centre. 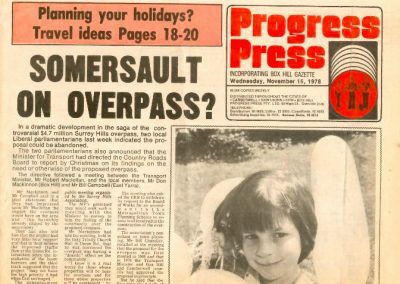 The creation of Surrey Neighbourhood News, our local newspaper, played an important role in lobbying for support. 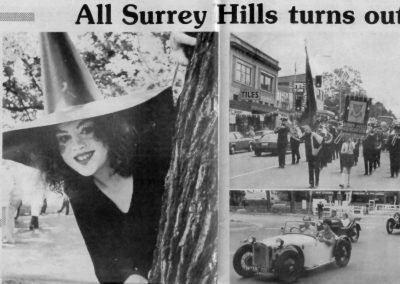 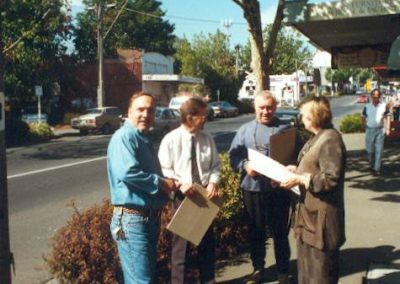 The grand opening of the new development was on Surrey Hills Day, 19 November 1983, and a very popular book, ‘Surrey Hills – in celebration of the centennial1883-1983’ featuring a selection of the historic photos, was published. 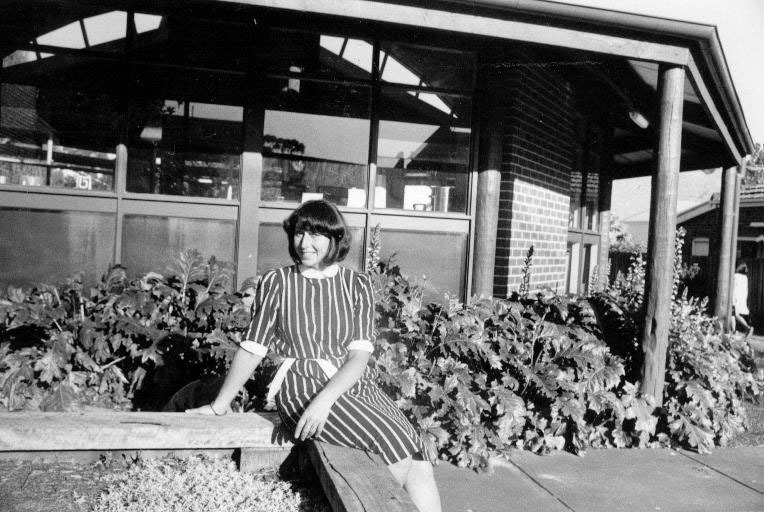 As the activities at the Centre increased, it became clear that the volunteers needed support, and Viv Swinnerton was appointed as the first manager. Having paid staff has been important for the success of the Centre, but the ongoing enthusiasm of volunteers is critical for the spirit in which it operates. 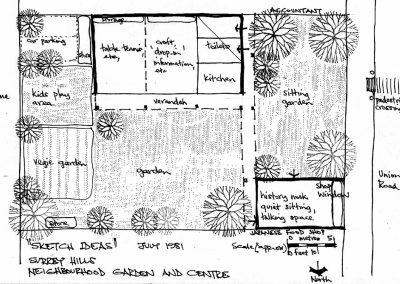 Over the past two decades Surrey Hills Neighbourhood Centre has expanded, with a diverse and extensive activities program, the addition of The Cottage, and the redevelopment of the 1983 buildings to become a lively and much enjoyed heart of Surrey Hills.